Monday, April 2, 2018 @ 6:00 p.m.
a. Mayor's presentation of a proclamation recognizing the 43rd anniversary of the CDBG and 32nd anniversary of the National Community Development Week. a. ____ Reso. declaring it necessary to improve Baldwin Blvd beginning 175' South of Dannie Dr. and proceeding north 1550' to Cooper Foster Park Road. b. ____Reso. supporting the decision of the Lorain Municipal Court & Clerk of Courts to enter into an agrmt. 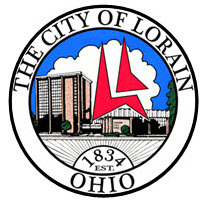 for the installation & maintenance of computer software programs required to operate the business of the Lorain Muni Court. c. ____Ord. adopting the Planning Commission's recommendation to approve the request for reclassification of property on the southeast corner of Leavitt & Nantucket (pp# 02-02-003-102-087). e. ____Ord. approving the current replacement pages to the Lorain Codified Ordinances (through March 5, 2018). f. ____Ord. repealing Chapter 759 Taxi Cabs of the Lorain Codified Ordinances. g. _____Ord. assessing the cost of abating nuisances by removing litter and deposit of garbage, rubbish and junk. h. ____Ord. authorizing the S/S Director to enter into contract for the rehab of certain roadways as defined by the local roadway rehab program for 2018.
i. ____Ord. amending Ord. No. 40-15, Exhibit A, Section 15.3.7, establishing the compensation, benefit and terms of employment for the IT Department. j. ____Ord. amending Ord. No. 59-17, Exhibit A, Section 16.4 Management Positions with corresponding Classifications, IT Director. k. ____Ord. authorizing the S/S Director to accept property from First Congressional Church as a gift and repealing Ord. No. 15-18.
l. ____Ord. authorizing the S/S Director to advertise for bids for the sale of real property no longer needed for municipal purposes (various parcels). _____Ord. auth S/S Director to advertise for bids & enter into a contract for towing services. a. ____Ord. establishing the compensation, benefits and terms of employment for the non-bargaining employees in the City of Lorain. b. ____Ord. amending establishing the compensation, benefits & terms of employment for the managers & professional employees within the City of Lorain. c. ____Ord. amending Ord. 195-15 Exhibit A, establishing the compensation, benefits and terms of employment for members of Lorain City Council. 12. COMMITTEE CALLS: A Finance & Claims Committee meeting has been scheduled for Monday, April 9th @ 6 p.m. to discuss and review the revenue and expenditure reports. MOTION TO RECESS INTO EXECUTIVE SESSION, IN ACCORDANCE WITH ORC 121.22 G (3) TO CONFERENCE WITH THE PUBLIC BODY'S ATTORNEY CONCERNING DISPUTES THAT ARE THE SUBJECT OF PENDING AND/OR IMMINENT COURT ACTION.